Joy Fairclough, aka Joy Fay-Lyn Fairclough, (b.1969); Musician, Singer-Songwriter, Composer, Recording Artiste, Music Educator and Performance Health Science Trainer in the Creative Arts. 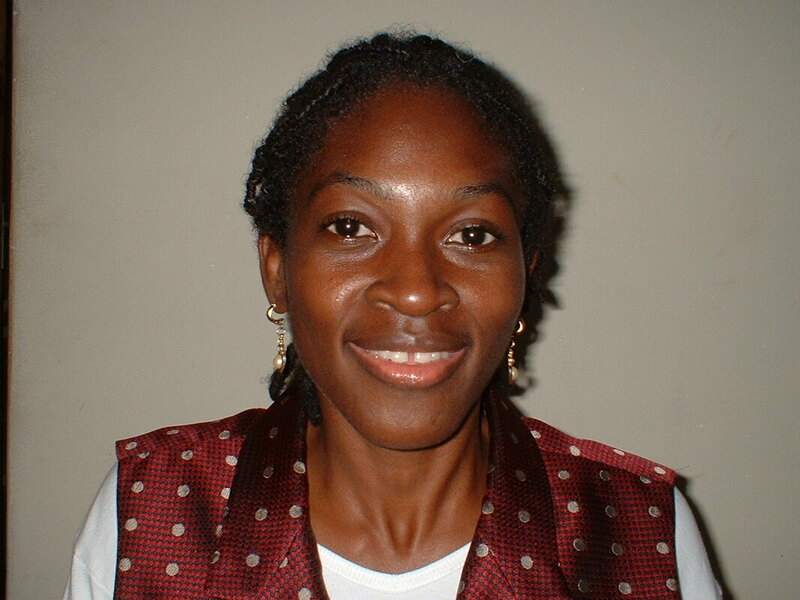 She is a Jamaican who studied widely, and has established herself as a well-known Jamaican in the Creative Arts. She seeks to expose the world to the various styles of Jamaican Music, and also to new and older talents of Jamaica. Presently, she is a guide and teacher to many Jamaican visual and performing artists in Arts Administration and Arts Business Principles. Her recording career started at ten (10) years old, as a part of a one thousand voice children's choir. The album was entitled 'Music and Youth' with performances of the Jamaican National Anthem and Patriotic Songs. She continued recording during her teenage years with Jamaica Broadcasting Corporation (JBC) studio recordings of the classical song, 'I Follow in Gladness to Meet Thee', and other songs. Further recordings followed in young adulthood with the former Umbra Music Publishing Company and Aytonbridge Studios owned by the now deceased artiste Carl Ayton; Recordings entitled 'Project 1 Reggae Domain' and 'Yard Beat - Straight from Yard'. Joy was trained in Jamaica, U.S.A., and France. During her years as a student of Dunrobin Primary School and Ardenne High School, Joy trained privately with the Royal Schools of Music programmes, (now known as the Associated Board of Royal Schools of Music, ABRSM). She continued her ABRSM training during her Edna Manley College study years. Her eight years of ABRSM studies in Piano, Voice, and Theory allowed her to attain an Advanced Certificate in Voice and the Grade Eight in Piano. Thereafter she went to a University and College in the southern part of U.S.A., as well as attended, in France the Bourgogne University Summer Programme in French Studies, where she met and was introduced to the music and instruments of France by Madame Martine Bernaud (a great teacher of Piano and Organ in Dijon, France). She attained a Bachelors in Music with a Minor in French in U.S.A. (with extra credits in French), and a Certificate attaining Intermediate Level French Studies at the University in Bourgogne, France. The Joy Music Ltd. Performance Health Foundation Workshops and Mini Conferences were chaired by Joy Fairclough and mainly sponsored by Joy Music Ltd's Performance Health Foundation, Jamaica National Building Society, Music Mart and a few other minor sponsors. These were held in Jamaica between 2010 and 2012 at the Edna Manley College, Bethlehem Moravian College, and UWI Open Campus in Montego Bay. Some of the invited lecturers were Dr. Nancy Lee Harper (Professor and Concert Pianist), Dr. Hara Troulli (Pianist and Orthopaedic Surgeon), Dr. D. Garfield Davis (Honorary Consultant Otolaryngologist, formerly at the Royal National Nose Throat & Ear Hospital), Dr. Julian Fagan (Nutritionist), Jo-Ann Richards (Ethnomusicologist), Joy Fairclough (Performance Health Composer and Performer) and others. All workshops explored how to perform, teach and compose, with the best functional mind and body. Joy has been guest lecturer at several workshops hosted by Edna Manley College, Churches, and Schools Music Programmes in Jamaica. Joy Fairclough began producing shows and concerts from age fifteen (15). She trained the Inter Schools Christian Fellowship Chorale and the Praise Ministries-YFC performing Arts groups for their competitions and productions. She wrote for them the 'Street Beat' Musical, with co-writer of the theme song being Errol Brown, while also writing songs for various plays by Kingston Youth for Christ. At age seventeen (17), Joy received first prize for best trainer with her Award Winning Best Quartet by Jamaica Youth for Christ, and was awarded a Prize Trip to USA. The trip allowed her to tour three States; on a radio Interview with herself and the group, they were interviewed along with Ce Ce and Be Be Winans. At the Edna Manley College, in 1991, she was recognized for the best ‘Theatre Arts Production’ at her graduation ceremony. She typeset scores for most well known singers, and musicians, in Jamaica, upon graduating from Edna Manley College. Some books were typeset for Father Holung, Jon Williams (Oregon Catholic Press), Noel Dexter and Marjorie Whylie. Many scores were typeset for JCDC entrants and the Caribbean Composers Competition Awardee Michael Dyke. She went on to write her own songs and co-write with Simeon Simpson while producing and training the Jamaican Dancehall-Crossover group called Voice Mail, and other artistes. She wrote songs and co-arranged with Carl Ayton on her recordings during the 1990's. Joy left Jamaica in 1999 to study and tour overseas. Earl Billups, a great U.S.A. cellist and Jazz player, sharpened her knowledge and ability as a composer and trained her to play the strings family of instruments. As her course instructor, Dr. Hope Davis truly challenged her abilities in advanced part-writing and counterpoint. During her tenure at College and University in U.S.A., she was awarded the Best Accompanying Student, and Best Choir Sectional Trainer. Her College Choir went on tour where they were all given a short lecture by composer Richard Smallwood. She was also introduced into Alpha Chi as a member. Upon her return to Jamaica, in 2003, she became the vocal trainer for many International Jamaican artistes including Macka Diamond, Mr. Vegas, Dancehall artiste Assassin "Agent Sasco" (voice training basics and keyboard), and Danielle Isaacs (Dancehall female DJ in singing and keyboard basics). She also co-produced a song and recorded with Sangie Davis, whom she had previously trained in singing (he is one of Bob Marley's Co-Writers). She assisted the Digicel Rising Stars Competition as a workshop trainer in vocal technique and vocalizing on stage with Camille Davis, One Third, Romain Virgo and many others who were finalists for three seasons of the televised competition. Romain Virgo and One Third were winners of their respective years of the competition. She also trained Jamaican gospel singer-songwriters such as Lorraine Davidson, Isaiah Clarke, Kenneth Haye and Robert Bailey, all local gospel competition winners and recording artists internationally. As a teacher at the Edna Manley College for fifteen years, between 1992 and 2006, she trained students who formed the groups such as TOK, and NOTIS BAND, as well as teaching the brother of Asafa Powell, former 100 metre world recorder holder, to sing and play the piano. 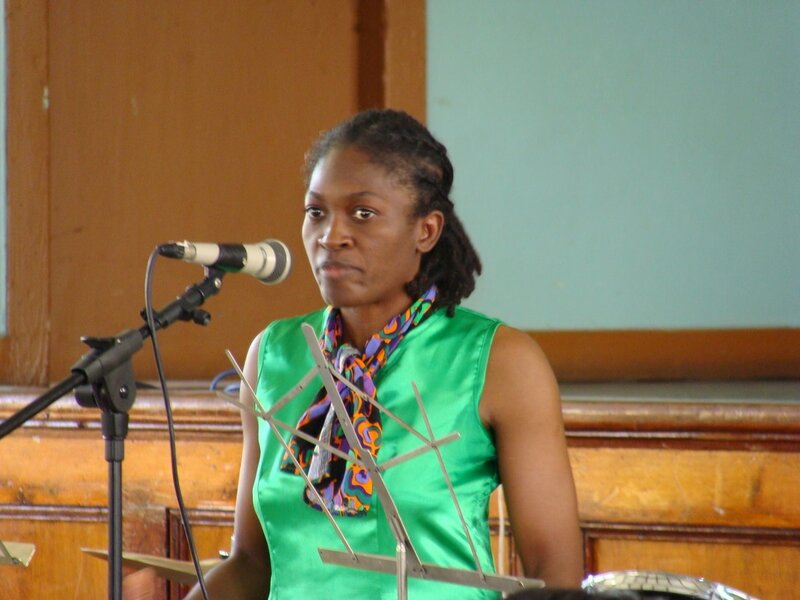 Joy Fairclough trained and conducted the choir groups of the Inter Schools Christian Fellwoship, and additionally worked with them on the arrangements. All male soloists, female soloists, Trio's, Duets, Quartets and Choir won the Jamaica Youth For Christ Competitions in Music during 1986-1987. She furthermore performed with bands in Jamaica and overseas, such as Dat's Cool band, and the backing band for Don Carlos and Garth Dennis, formerly of Black Uhuru, when they were nominated for the Grammy, in 1994. She became the first female keyboardist from Jamaica to be in a Grammy Nominated Reggae Band. Joy also performed with the Girlztown Band from Jamaica in Japan. They were given a great welcome and send off by the Japanese hosts. She performed as a visiting keyboardist and singer with Fab 5 Inc. and Unique Vision Bands and other show and gospel bands. From 1980 - 2000 Joy has been a judge in the annual Festival competition of the Jamaica Cultural Development (JCDC) in the genres Children's Gospel, Popular Music and Gospel. She also adjudicated the Youth for Christ Competitions in Music and Speech and the Inter Schools Christian Fellowship Competitions in Music and Speech. Joy Fairclough has spent her life playing at Tarrant Baptist Church, Balmagie Baptist Church, Phillippo Baptist Church, Greendale United Church, Rose Town Holiness Christian Church and every church denomination one can think of across all parishes of Jamaica. Her compositions 'Jesus' and 'He Is High' were both sung in churches in U.S.A. 'He Is High' was recorded and published by a church band from Covenant Community Church in Munford, Alabama, U.S.A. Her best memory of church worship performances and training in Jamaica, the U.S.A., and other Caribbean Islands, was in a small little Southern Baptist Church in U.S.A. Upon her departure, the Choir Director said of her that she was the most all rounded musician whom he had ever met, and was very astute with her work and worship. 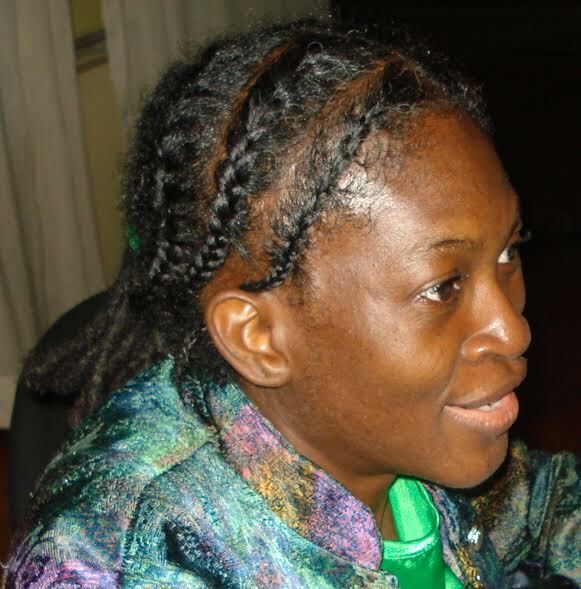 Her published books, poems, research papers, essays on the use of the Music and the Creative Arts can be found on her website www.joymusicjamaica.com.jm. Her letters to the editor in the local newspapers in Jamaica have been frequently published, her first letter being a small research essay on melodies and the use of pentatonic, major and minor scales in Jamaica’s Popular Music, and the impact emotionally and mentally on the Jamaican Society. The Editor wrote his own article based on what he read and entitled it, 'Is Dancehall Music Making Jamaicans Depressed?' This article started a long lasting debate on the construction of melodies in Jamaican music. Her second letter to the Editor helped to encourage the amendment of the Jamaican Copyright Law. She also published booklets and manuals for vocal training and performance health science studies of the human body; produced songs on CDs and music videos, as well as a 'Vocal Warm Ups For Great Voices' training video. Her partial autobiography written by her on her life's challenges entitled 'Scoliosis and Me: An Autobiography' is distributed by Bookfusion.com. She released a twenty-nine (29) song album of several gospel and popular songs, including the classical arrangement of Hol' Him Joe. It was entitled ‘Joy Fairclough with Various Artists 2, A Compilation of JaFolk Mix Styles’. Her popular and gospel compositions were released on her EP (CD) as a tribute to family entitled 'Sweet Sweet Love (I Love You) EP'., in tribute to her mother and father who passed on November 7th, 2014, and September 22nd, 2015, respectively. Her String Sextet and Symphony, 'Hol' Him Joe' was arranged with new material, added and released as a digital recording with score (2012). Her latest Symphony is Tweetie (A Symphony of Birds), (2017), released as a digital recording with score. She also released on the website, Music Sheet Plus, her Hymn for Choir and Orchestra entitled 'We Shall See Him as He Is' in 2017. Joy Fairclough also released the first book of its kind in Jamaica entitled ‘Music With Mathematics Principles, How To Teach, How To Learn: Towards Exam Mastery in Music, Mathematics and Other Subjects’. It was endorsed by Jamaica’s Ministry of Education as a Methodology to be used in all classrooms in Jamaica. She released other Music books as a publisher, entitled 'Songs for Young People and Children' by Dulcie Bailey, 'Some Simple Exercises for Five Fingers' by John Sears (deceased), and Jermaine Gordon's Music Scores in a book entitled 'Lord I Surrender'. You Reign In Majesty – A Gospel Worship CD with the music score examples of the new categorized styles of Jamaican Music called JaFolk Mix by Joy Fairclough with a compilation of songs and guest artistes of Jamaica in Chorale, Choir, Band, Solo and Band Arrangements and an Instrumental Track. You Reign In Majesty (Pre-Release) (2005)– A Gospel Worship (EP) CD limited release) with the examples of the new categorized styles of Jamaican Music called JaFolk Mix by Joy Fairclough with a compilation of songs– (Available as Piano scores and Mp3). You Reign In Majesty (CD/MP3) (2010)– A Gospel Worship CD with the examples of the new categorized styles of Jamaican Music, called JaFolk Mix by Joy Fairclough, with a compilation of songs– (Available only as EP Album as Mp3). SWEET, SWEET LOVE (I LOVE YOU) (EP) – by Joy Fairclough (2015)with session performers Pam Hall, Tafina Wilson, Sidney Thorpe, Keith Francis, Prince Manning, Sangie Davis, Dwight Pinkney, Barry Bailey, Romeo Gray, Kemroy Bonfield. Strings Sextet and Symphony - 'Hol' Him Joe' was arranged with new material added and released as a digital recording with score (2012). Symphony (Audio and Score) - Tweetie (A Symphony of Birds), (2017), released as a digital recording with score. Hymn for Choir and Orchestra (Score) - 'We Shall See Him as He Is' (2017). She is the person who coined the term JaFolk Mix. Quoting Wikipedia, "JaFolk Mix is a term coined by Jamaican musician Joy Fairclough, to mean the mix of Jamaican Folk Music with any foreign and local styles of music and the evolution of a new sound created by their fusion. This is the latest Jamaican Music stylistic development of the late 20th century and 21st century. "https://en.wikipedia.org/wiki/Music_of_Jamaica accessed February 26th 2017.